That should be an expectation of every dentist who provides every patient treatment. GUMS. That certainly sounds like an exciting topic. But did you know that if your gums aren’t healthy, then you aren’t either? Really. Gum disease (or periodontal disease), can contribute to all kinds of health problems, such as diabetes, heart attacks, strokes, dementia, and even cancer. The US Surgeon General recently reported that 80% of this country’s population has some form of gum disease. Sure you brush your teeth regularly. You probably even floss…. occasionally. And you probably have seen a little bleeding after one or both. Guess what? You just might have some form of gum disease. Did we get your attention? Yup, chances are you have it. Now what do you do? Arm yourself with information, that’s what. Healthy gums are an important foundation to good oral health. Here are some of the characteristics of healthy gums. Healthy gums are coral pink or a darker hue of pink. 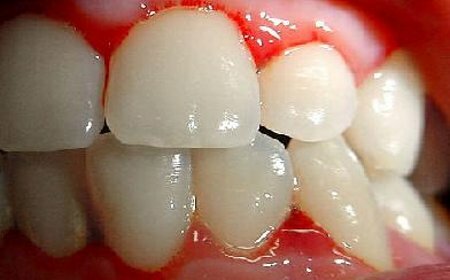 Gum issue that is inflamed is often red in color. This is usually a sign of gums with gum disease. Healthy gums are natural and snug around your teeth. Gums should be firm around your teeth, not loose. Gums should be firm and adhere closely to the teeth. Healthy gums have a gingival sulcus that is 3mm or less in depth. They should fit in the spaces in-between teeth. As a patient, you deserve to know the truth about your gums and how they affect your body. Keep reading to learn how your gums play a role in your overall health. Are you a dentist interested in adding the Gums of Steel protocol to your practice? Get an introduction to Gums of Steel and how you can offer it to your patients.